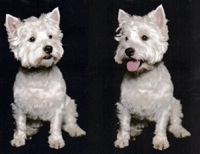 Kim has been walking and looking after my two lovely Westies, Megan and Bronwen, for some three and a half years now. She also walks and cares for my best friend’s dog, who is Megan and Bronwen’s best friend, a beautiful little Maltese called Timmy. They all love Kim to bits! It’s not surprising that this is the case. No matter what, Kim walks all three dogs each and every day, no matter what the weather or anything else which might put off other less dedicated mortals. She takes them to the park and plays with them, and it is clear that they all have a lovely time with her. Each Saturday and Sunday, in the early afternoon, Bronwen sits at the front door, willing Kim to arrive. The disappointment is almost visible on her face when she realises it is not Kim but myself who will be doing the walk that day. The work I do involves irregular hours, and it is right to say that I would find it very difficult to properly look after the dogs without Kim to see to them each day. But it does not stop there. When I go away for a weekend or on holiday, Kim moves in to my flat and takes over from me. So she is absolutely invaluable in every way, and I completely trust her with my dogs and my home. If anyone would like to chat to me about Kim, I would be very pleased to do so. Kim has worked for us over the past 3 years taking care of our two angels Sophie and Charlie Bear (two walks a day). She is by far the best dog minder we have ever employed both in London and New York. 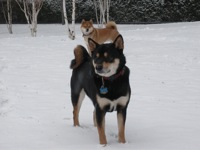 The way our dogs immediately took to Kim was astonishing as they are Shiba Inus and are shy/reserved by nature. But even Charlie Bear, who could be best explained as borderline mental and in need of Prozac, warmed to her (despite his fear of strangers). Kim is always punctual and very trust worthy. She has full access to our flat and we use her exclusively to house sit our furry friends when we are out of town. She goes way above the normal dog walker duties and is always happy to help. 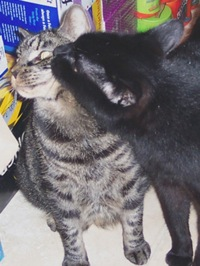 She schedules and takes them for their regular vet visit as well as their monthly grooming. She orders dog food when necessary and even buys them new collars and leads when required. I think the best thing about Kim is how she has embraced Sophie and Charlie Bear as part of her family. It is not uncommon for her to take them to her house during the day or to the country to visit her mom (when we are out of town). She has included them in her holiday festivities (over Christmas Break) and is just genuinely a fantastic person. Eventually, we will have to return to the States and the saddest part will be that Sophie and Charlie Bear will be losing a great friend. Thank you Kim for all of the love you have shown them. Thank you so much for your help and flexibility while we were away! Pasha really benefited from having you around. Usually when left alone she’s a bit aloof and temperamental, but when we got back after having you look in on her, it was as if we’d never been gone, as far as she was concerned. For us, it was a real peace of mind to know you were looking in on her and I looked forward to getting your email updates while away! We also greatly appreciated your flexibility in being able to adjust the days of your visits due to our flight cancellations, etc. It was a stressful time, but I was comforted knowing that when we did finally get out, you would be there to check up on Pasha. Also, the card you left was really sweet! I was extremely satisfied with our first experience using London Pet Services and look forward to using your services again! London Pet Services has been looking after me for just over 3 years and my little sister for just over a year. We’ve never been so happy. Kim takes us out for an hour and we love it. 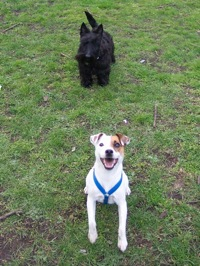 We play and run around Southwark Park and take strolls along the river and play ball on Potters field, it’s great. Kim also comes to stay with us sometimes during holiday periods….. I know our owners feel completely confident in LPS concerning our safety and that our home is always secure. When we return from our walks we get a lovely cool drink of water, lots of cuddles and if we are lucky maybe even a treat !!!! We can’t recommend them enough. We love when our “person” travels and Kim comes over! She keeps our high maintenance coats perfectly groomed and she looks after us so well with lots of thoughtfulness and play - even when we’ve gotten sick she’s handled everything just brilliantly. We can’t wait to see her again soon! Kim of London Pet Services provided excellent cat sitting services for my cat Roxy whilst I was away for several weeks in May/June 2010. Roxy is predominantly an indoor cat who needs stimulation for exercise and lots of caring attention, especially since sometimes she can easily get shy or stressed. During my time away, I found my experience with Kim to be wonderful and had no issues with the services provided. Kim was very dependable and organised. She was even able to accommodate unexpected changes in my return schedule and kept my plants watered. I was particularly impressed by Kim’s good communication - I received regular emails informing me of how Roxy was doing, with pictures showing Roxy looking very playful and happy indeed. Roxy seemed content when I returned home so I knew Roxy had been well looked after. I would highly recommend London Pet Services. I wanted to thank you SO much for all the comfort, care and attention you have provided to Larry and Phoenix when I’ve had to be away from home over the past 2 years. Knowing that you would be coming round look after them has made me feel that much more relaxed about going away. In fact, if they could speak I expect they’d say they’ve quite looked forward to me being away - each time I’ve returned they’ve both been purry and happy! I’m really excited to be moving, but I’m sorry that I’ll no longer be able to call on your fantastic service, which has truly been something I’ve really valued, and would thoroughly recommend to anyone. If ever you branch out to Balham do let me know!Thanks again for everything. When we moved to a 5th floor flat in Shad Thames we were very worried our dog Millie would be without a dogwalker as there don’t seem to be many in the vicinity. Kim had been mentioned to us by a few owners we met on Potters Fields so when eventually she had a slot become available, we were delighted - and Millie was over the moon as she got loads of walks, ball playing and TLC while we were at work. Just seeing how Millie forgets her parents the minute Kim walks through the door is testament to how much she loves to be with Kim! I would very much recommend Kim who we found to be caring, flexible, relaxed and totally trustworthy. Thank you for looking after my boys so well. They hardley noticed i’d gone and looked very perky and happy with themselves. You did a fantastic job and i’m so grateful. Thanks again - your a STAR! I was very fortunate that my owners found Kim to walk me when we moved to Rotherhithe recently. 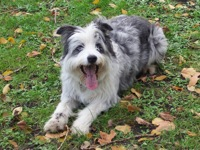 Kim started by taking the trouble to find out how my owners handle me, and she always makes my walks in Southwark Park fun. Sometimes she takes me out with another of her canine friends - I do appreciate the extra company. 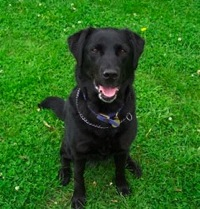 Kim is very reliable and I’m sure my owners have no hesitation in recommending London Pet Services to other dog owners. I wanted to write you a note to say thank you so much for all you have done for us over the last six months. We were in desperate straights before we found you. The dogs were home all day while I was at work and I knew that they needed time out in the afternoon. However, there seemed to be no dog walkers in the local area! I was elated when I found your number, thinking that finally someone would be able to take them for a walk in the afternoons. But you have proven to be so much more than just a dog walker. I so admire the way you run your business. The service is not only incredibly professional, but so personalised! The notes you leave each day ensure that I know exactly how things went and the few times that there have been problems, you have phoned me immediately. Your concern, foresight and judgement inspired great confidence and I have grown to trust you implicitly. I would not hesitate for a minute to recommend you, so please feel free to use me as a reference. If we could take you with us to our new neighbourhood we would in a minute! Good luck and again, thank you so much. 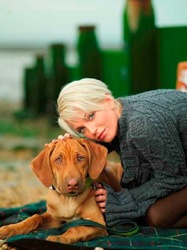 I am writing a reference about Kim Miller who runs London Pet Services. Kim is a lovely person and is excellent with animals. 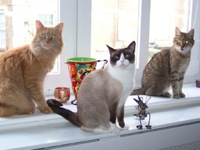 I felt confident in leaving Kim with my cats and in my home. She is very loyal and trustworthy and puts the animals first in everything. She takes the time to get to know each cat individually and makes sure they are eating and drinking and have no health issues. Over the past weeks I feel and my cats have made a good friend with Kim. I know if I need Kim at anytime I would not hesitate in contacting Kim. She is a very warm and friendly person who does her best for your animals. If you wanted a phone reference for Kim then please contact me. The minute that Kim walked into the house I could tell that Stanley liked her, she had an instant rapport with him. He loves his walks with her and always greets her like one of the family. Despite being a big, strong puppy (growing bigger non stop) Stanley behaves well for Kim - sometimes better than he does for us. We have found London Pet Services to be very reliable and trustworthy, they treat Stan as though he really is as precious as we think! 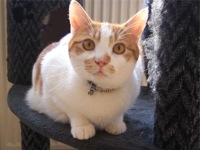 I would like to say how impressed we were with the outstanding service provided by Kim Miller of London Pet Services when she looked after our cat Lucky while we were on holiday. 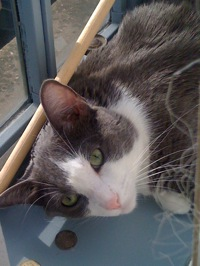 Lucky is almost 17 years old and requires medication administered twice daily for a thyroid condition. We only moved to Rotherhithe a year ago and we were desperately in need of a holiday but were worried about leaving Lucky in the care of someone else due to the medication, as he can be an awkward little being. 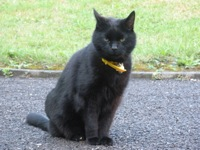 Anyway, we need not have worried, as Kim looked after him to an excellent standard – we returned home to a happy, contented and healthy cat. We have nothing but praise for Kim’s reliability, trustworthiness and capability when dealing with Lucky and would have no hesitation whatsoever in recommending her to anyone requiring pet care services. As a final note, her text messages while we were abroad letting us know how Lucky was were very reassuring. Gina Esdale & Tommy Hegarty. With reference to Kim miller of London Pet Services. I would like to say I am very pleased with Kim’s service. 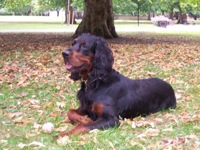 My Gordon Setter, Soto, walks with Kim every weekday and thoroughly enjoys himself running in Southwark Park. I trust Kim to take good care of him as she obviously loves animals and enjoys Soto’s company as he does her’s. He always has a great time with Kim and gets very excited to see her every day. Kim is a good, trustworthy person and I would have no problem in recommending her services to other pet owners.